Video obtained of Kiska by Alex Dorer of Fins and Fluke shows lone Kiska floating listlessly in her pool at the dilapidated Marine Park. Marineland is under scrutiny soley thanks to the Marineland Whistleblowers. In August of 2010 the Star began publishing a series of articles that would change history and the worlds view of Marine Parks forever as Phil Demers and other former trainers came forward exposing conditions of abuse and neglect at Marineland in Niagara Falls, Canada. The article, “Marineland animals suffering, former staffers say” by Linda Diebel, published Wednesday Aug 15, 2012 revealed what goes on behind closed doors, with example after example, complete with pictures of the terrible neglect and suffering. Vote for Les Stroud Here at The Bille Celebrity Challenge! 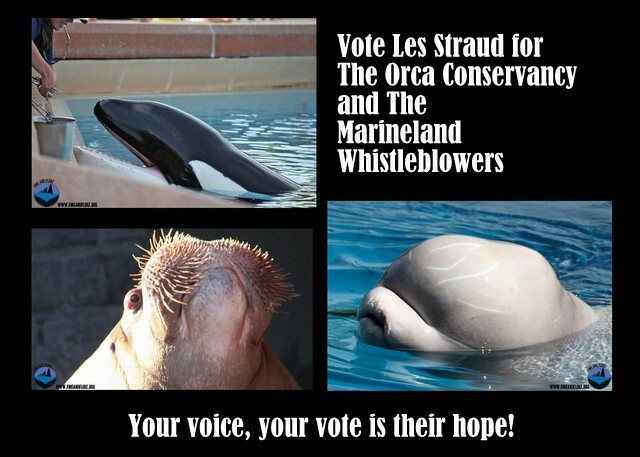 Les Stroud and the Orca Conservancy have now come forward to support the Marineland Whistleblowers. Each day you can help by voting for Les Stroud at the Bille Celebrity Challenge. 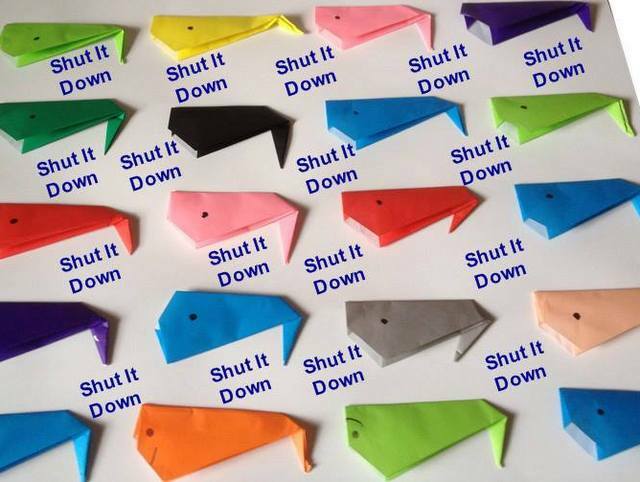 By supporting the Whistleblowers we are supporting all the animals that continue to suffer at Marineland and that includes the lone orca Kiska. 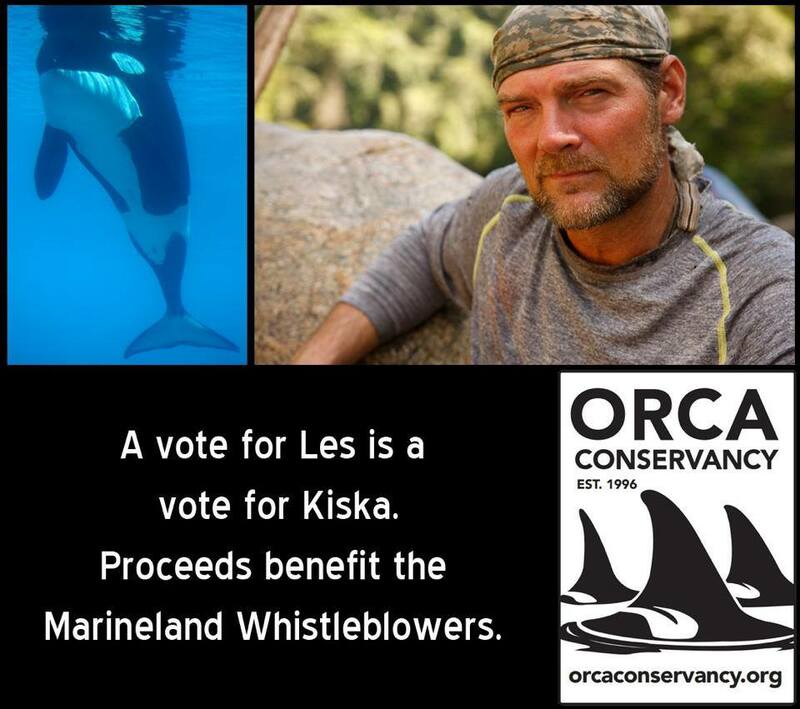 Alex Dorer of Fins and Fluke said it best: “Kiska, she needs us and the Whistle Blowers to keep fighting against Marineland so please vote for Les Stroud everyday”. In August of 2010 the Star began publishing a series of articles that would change history and the worlds view of Marine Parks forever as Phil Demers and other former trainers came forward exposing conditions of abuse and neglect at Marineland in Niagara Falls, Canada. The article, “Marineland animals suffering, former staffers say” by Linda Diebel, published Wednesday Aug 15, 2012 revealed what goes on behind closed doors, with example after example, complete with pictures of the terrible neglect and suffering. The articles infuriated animal activists and environmentalists world-wide. Since the articles were published there have been two protests demanding the dilapidated Marine Park be permanently closed. 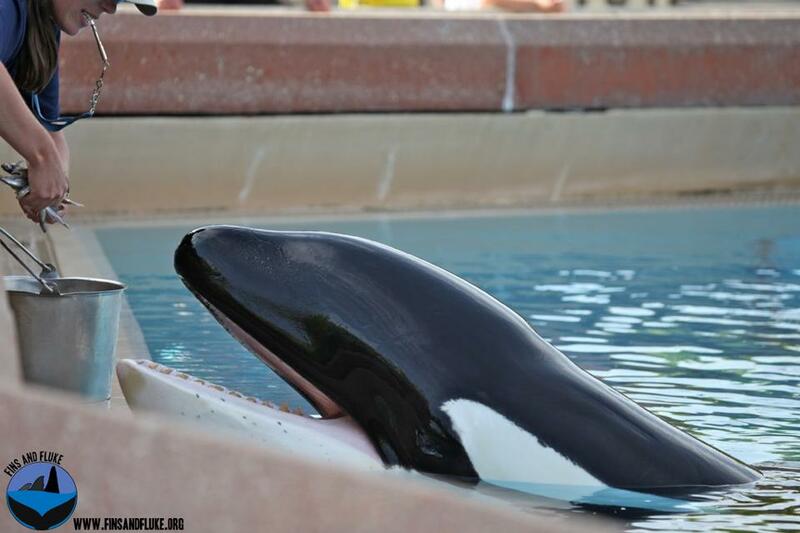 In her article, “Marineland Conditions for Killer Whale Still Substandard – Video of Kiska the Orca“, Candace Calloway Whiting uses video of Kiska obtained by Alex Dorer of Fins and Fluke of Kiska floating listless and alone in her pool. Dorer described the situation as she sees it at Marineland and how important it is to support the Whistleblowers. Marineland Canada is one of Ontario’s most popular tourist attractions. Until Phil Demers, a Marineland senior trainer, went public (via the Toronto Star) with how Marineland treats its animals, no one really knew about the horrific conditions in which those animals live and die. You can find the Star’s extensive investigation series into what goes on behind-the-scenes at Marineland here. In response to Demer’s actions, Marineland and its owner, John Holer, fired and sued Christine Santos, who happens to be Demers’ girlfriend. And now Demers has been sued as well, AND he has been threatened with additional legal action as well. Demers and Santos now face crippling legal bills, just to defend themselves, and financial ruin if they can’t muster a legal defense. How can you help? 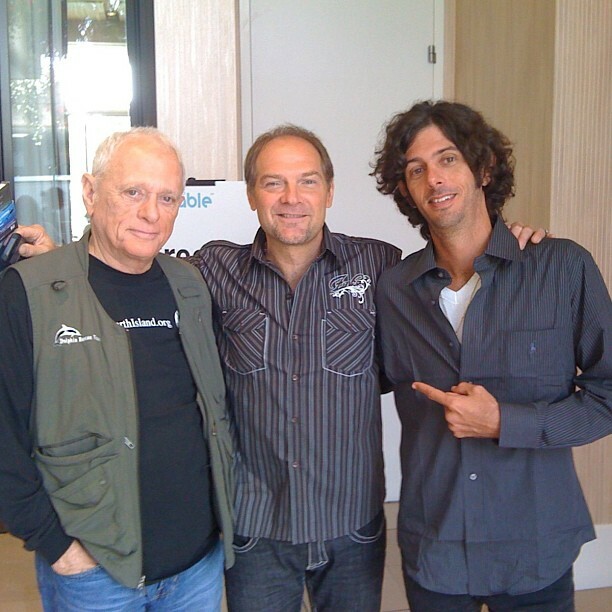 Join Ric O’Barry his son Lincoln, and Les Stroud as they give a voice and a vote to the brave whistleblowers and animals at Marineland. Please vote for Les Stroud every day in the celebrity challenge Here. Proceeds benefit Marineland whistleblowers and the lone Orca, Kiska. .
For more information on how you can help come to Fins and Fluke on Facebook. Start making a difference for these animals by supporting the Orca Conservancy and the Marineland Whistleblowers today! He said in March the verbal orders were to assess and clean up the water and to enrich the environment of lone killer whale Kiska. Marineland administrator Tracy Stewart said in an email at the time “there is no such thing as a ‘verbal order’ and consequently none were issued,” therefore, there were no orders on Kiska and the water system. In the first paragraph of the Humane Societies academic paper “Killer Controversy why orca should not be kept in captivity” the author Naomi A. Rose, Ph.D. describes, orcas as intelligent and family-oriented. Orca pods in the wild stay together for a lifetime yet Kiska is kept in a tiny tank alone. Retired from performing she literally floats in a world poisoned by chlorine, devoid of family and friends, destined to spend her remaining years in the silence of a cement pool. Never will she have a family or feel the rhythms of the ocean. The good news is the battle continues. Following the protest event one of the organizers Dylan Powell stated, ” I want people to understand how important these protests are at Marineland”. 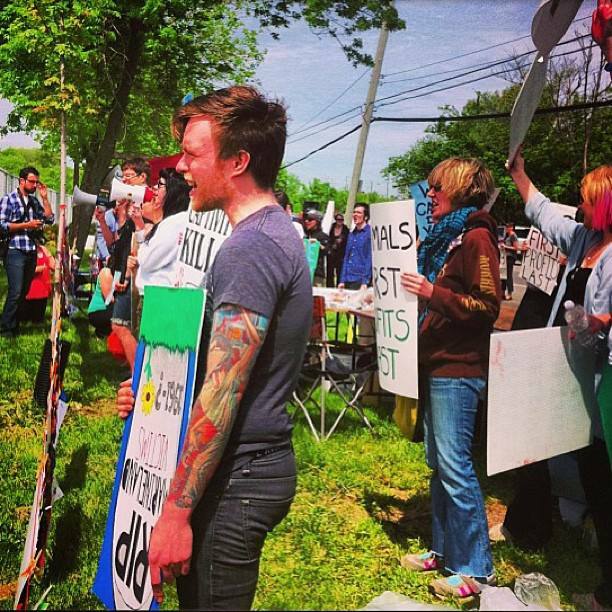 Each protest gains more supporters for the animals languishing at Marineland. While Kiska and the other animals continue to suffer with no end in sight the battle to save them carries on to “Shut It Down”. Be a voice for those that cannot speak for themselves the animals! Join the campaign to end the captivity of animals at Marineland by joining the open Facebook group Marineland Animal Defense M.A.D. and follow on Twitter M.A.D. @marinelandAD.